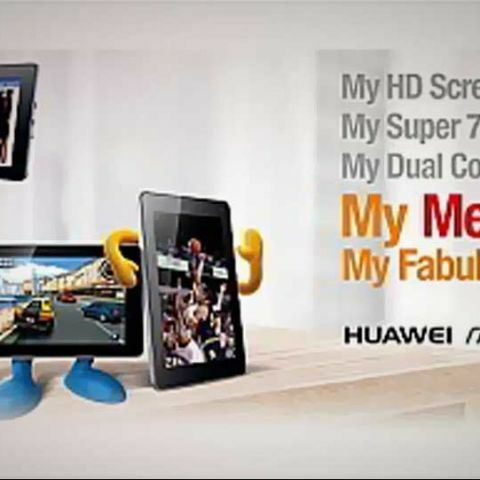 Huawei has announced it will launch its first Honeycomb tablet, the MediaPad, in India next month. The company has also roped in popular writer Chetan Bhagat as the brand ambassador of Huawei products in the country. "Chetan Bhagat is a youth icon and he has changed the dynamics of the publishing industry. Our endeavour is to bring high-end technology at affordable prices. Our target audience and values are the same," TOI quotes Huawei Devices India President Victor Shan as saying. Huawei had unveiled the 3G Wi-Fi MediaPad in June this year. The MediaPad tablet comes with a 7-inch display, 1.3MP front facing camera and 5MP auto ocus rear facing camera with HD video recording capabilities. The tablet runs on Android 3.2 Honeycomb operating system and is powered by Qualcomm's dual-core 1.2GHz processor. For connectivity, the Huawei tablet supports HSPA data services, Wi-Fi n, and Bluetooth 2.1. The device comes with a 4,100mAh battery, which should provide over six hours of talktime. The MediaPad supportsFlash 10.3, and is pre-loaded with apps such as Facebook, Twitter, Let's Golf and Documents to Go. Check out the detailed specifications of the MediaPad here. There's no official word on what the price of the MediaPad will be at launch. However, considering the growing competition in the tablet segment, it is believed that the device will be a mid-priced one, competing with the likes of the Reliance 3G Tab and Beetel Magiq.